Mornings, we watched the ocean, whales, turtles and islands of Moloka’i and Lanai from our lanai with no blinding sun in our eyes...and GORGEOUS sunsets nearly every eve! The location is so convenient to everywhere on the island. And the staff was SO nice and accommodating! Great experience! Perfect place to relax. Unit is well maintained and comes with everything you need including binoculars for whale watching. Very comfortable bed. Was great, accommodations, facility, view and location just awesome. Considering a condo purchase now and a retirement destination. We Tavel here every year to Maui and have stayed at many of the Makani Sands rental units .This was our first time in this unit and we found it well stocked and nicely furnished.The view is awesome and never disappoints no matter what unit your in.Makani Sands is like a second home for us and we will be back again next year. This condo was everything pictured and described and more. The manager was so friendly and helpful. The view was perfection with great whale watching. The condo had our every need supplied. The condo was nicer than the pictures. The view & listening to the surf all day/night was the BEST! The unit was clean and very well equipped with more than a'starter' supply of essentials. (I left some coffee filters) our 1 year old grandaughter spent 3 nights with us and all she wanted to do was crawl or walk around the chairs out on the lanai. She too loved watching the water. It was close enough to amenities, yet far enough to aboid the noise. I would definitely recommend this place! Beautiful condo very nicely decorated and appointed. 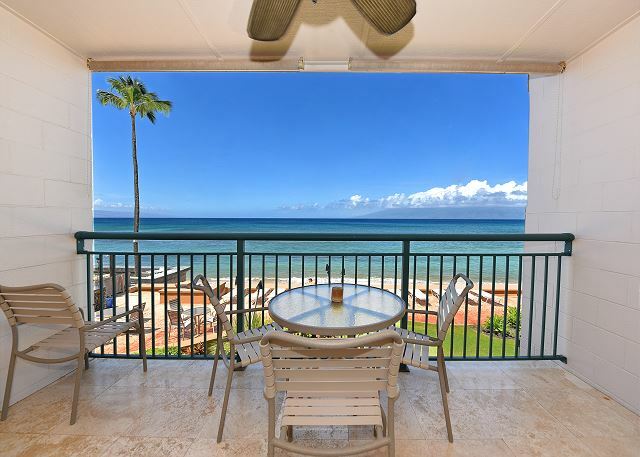 Daily ocean views that included turtles and magnificent sunsets over Lanai. Will return here again and again. We stayed here for our honeymoon instead of a resort and so happy we did, the place was clean and had tons of amenities! Farmers market is just a minute or two walk away. Perfect location to relax & steps away from the beach and sea turtles around 1pm usually. We would definitely stay here again! The only downfall is no air conditioning but they provide a fan & as long as you don’t mind the sound of the waves you can sleep with the sliding glass door open screen closed of course and ceiling fans going and should be fine!! Mikani Sands Unit 202 - A Great Value! We were pleased with every aspect of our stay in Unit 202. The condo was very clean and well appointed. It provides a beautiful view of the Pacific Ocean. The staff at Makani Sands are very helpful and friendly. This is not a luxury condo, but is very comfortable and provides great value. The unit was well appointed and well maintained. The location was great. This was our second trip in two years to Makani Sands. This time we vhose Unit #202 and it was perfect. You really can’t get more incredible views than at this property. The condo was clean and well equipped. This was our 11-year-old grandson’s first trip to Maui and he loved it. He spent a lot of time in the crystal clean pool. Although there has been some beach erosion, we were anle to get in the ocean and it was wonderful. We love watching the constant homi parsde, too. We will come back to Makani Sands again and again! 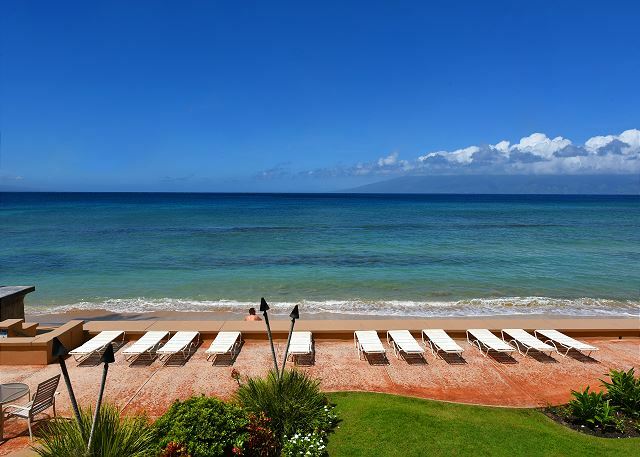 We enjoyed our visit to Maui’s west side and our stay at Makani Sands. The one bedroom condo was clean with adequate cooking and serving items and extra amenities for the beach. Wi-Fi and TV worked well. There was no beach in front of the property, but we were told this was unusual. The surf was pretty high during most of our stay, so it can get pretty loud when the sliding door/windows are open. 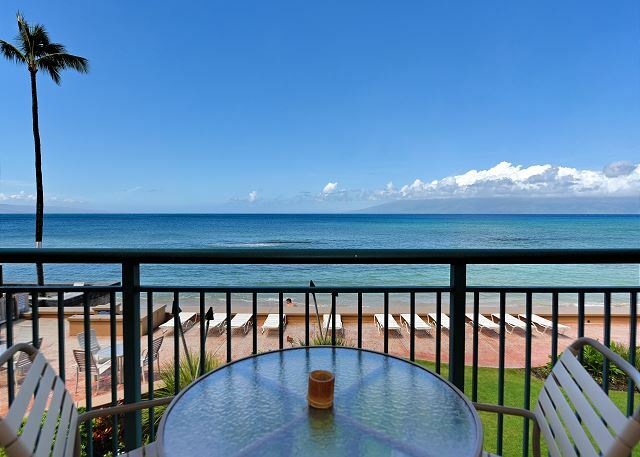 We ate our meals on the lanai with its great view of the ocean, the islands of Lanai/Molokai, as well as spectacular sunsets. 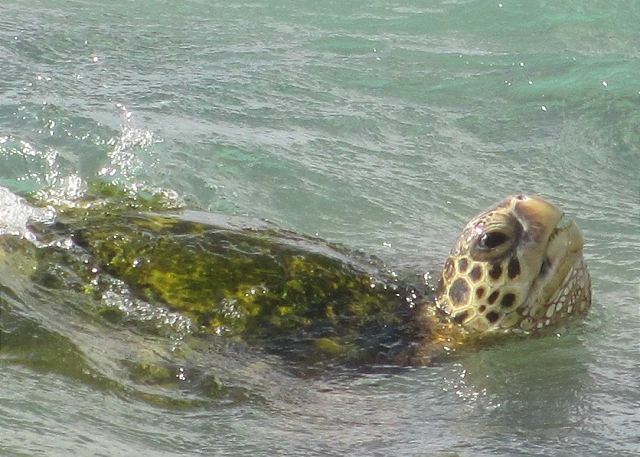 We were also treated to breaching whales and several turtles feeding below the property’s seawall. Management was personable and attentive to any maintenance issues. We had a pleasant stay at this condo. When we arrived, the condo was very clean. The ocean view is the best you can get and the beach in front of the condo is beautiful with soft sand and sea turtles often making visits! We will definitely be back to this place! A beautiful, quiet place to stay. 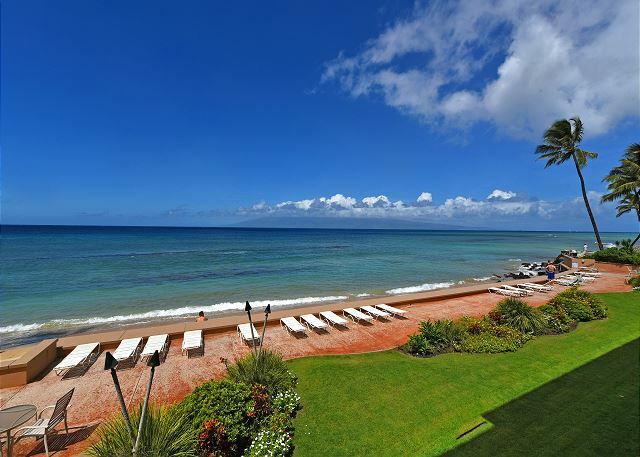 We loved staying at Makani Sands, away from the busy-ness of Lahaina and Ka'anapali. The unit was very clean and comfortable. We had to get used to the loudness of the ocean (what a problem)! The only slight downside was when new guests came into the unit above ours about half way through. They started out noisy, but we contacted management and it was taken care of. While West Maui is about an hour drive to many places (start of road to Hana, Haleakala, etc. ), it was so nice to come back to this place and either get into the pool or ocean. We had a very good experience with the staff. We called several times to make changes and get updates. There was never any problem. Overall we had an excellent stay and experience. This was our 3rd stay at Makani Sands. This was a great place, although I wish I had paid attention to the fact it did not have air conditioning. We had turtles that came up on the beach, the view was spectacular, the pool was lovely, the staff was very helpful and friendly and they had some great things - like a shopping cart that was great for transporting groceries. The kitchen was a full kitchen, they had everything that you could want to make a meal. They greeted us with a lovely fruit basket with the best Maui pineapple!!! I can't wait to go back again!!! Can't wait to return to Makani Sands! We booked our condo at Makani Sands for our 10th anniversary get-away. We wanted to stay at a smaller, quieter spot than the nearby resorts could offer. Makani Sands was perfect for us. The condo was clean and comfortable. The staff was friendly and helpful. We loved being RIGHT on the ocean and watching turtles swim by! We're already talking about a return trip. We highly recommend Makani Sands! We stayed at the Westin and here, honestly i think we did more swimming here. Great location, close enough to the resort areas to walk, but quiet and a better experience without the crowds. Close to a farmers market, great coffee at Badass coffee and reasonably priced food from several small restuarants. Warm pool that we had to ourselves, normally calm swimming beach, that is great for snorkeling or just being in the water. Watched several turtles swim through. More of a Hawaii feel than Kihei. Great spot will definitely keep going back to. Wonderful stay for the second time! Stayed in this unit last year and had such an amazing experience that we came back again this year. Once again, everything was fantastic! Makhani Sands condo complex is a medium sized, well run facility. 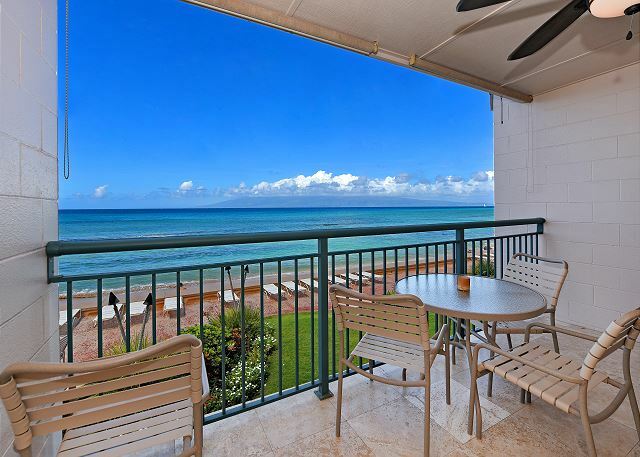 The management company on site is very helpful and each unit has an oceanfront balcony or lanai with direct ocean views. We wanted a condo so we could prepare our own meals when we wanted to, and having the use of a gas grill was great. Although not a new facility, everything is well maintained and our unit #202 was fully equipped and stocked with everything we needed. The pictures on the web site are accurate, and the sunsets from the balcony are magnificent. My wife and I fully enjoyed our week at Makani Sands. We would stay here again if we return to Maui. Found the condo to be all that the promo information said it would be. Beautiful view, staff helpful and other guest friendly. Hope to return for a second stay later this year. The apartment was directly on the beach overlooking the ocean. We loved waking up to the sound of the waves. 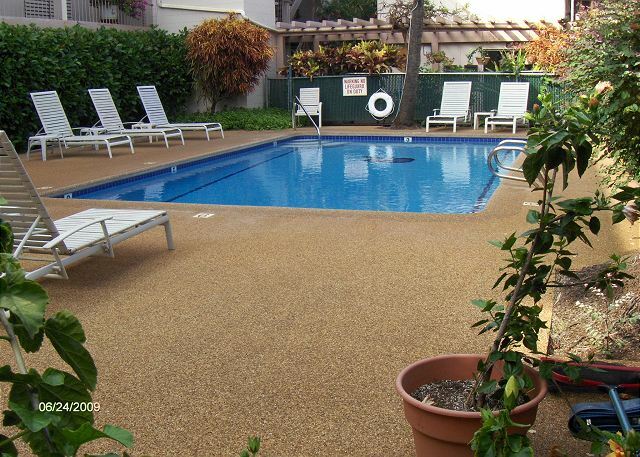 The apartment and grounds were clean und well maintained. Makani Sands is in walking distance to a coffee shop and market. We had a wonderful time there and will come back for sure!! I was pleasantly surprised at how well-stocked this unit was. It included beach toys, a cooler, and other little "nice to haves" that made our stay even more comfortable. The bathroom and kitchen are very nice and newly remodeled. 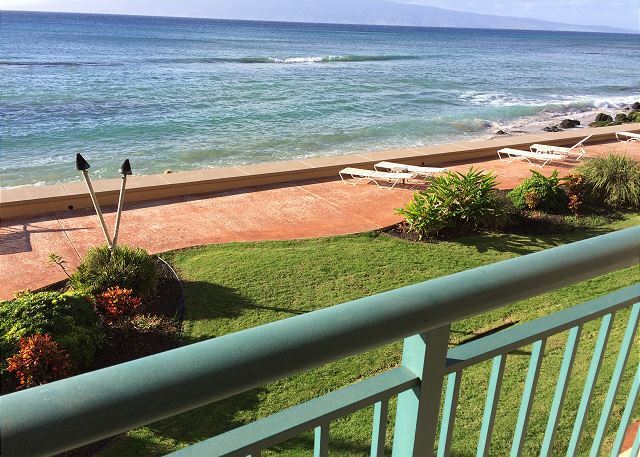 The view and ocean sounds from the lanai were amazing- including whale sightings! The location was very convenient. We are definitely planning to return! We had a wonderful time on Maui. Lots of whale watching, great food, and beach time. We loved the beach front condo. As always my experience was fantastic. 202 was a great property and the staff could not have been nicer. 25 steps to ocean,island to the left,island to the right and a sunset right between the both.we will be back and you can thank me later. We were welcomed by a fresh fruit basket that was very enjoyable to receive. Loved the turtles (and eels) but missed the whales because we arrived a little too late this year. This unit and the facility are kept immaculate - Bert is a wonderful guy and looks after everything wonderfully. The only drawback we had was the broken toilet ordeal that the rental manager dragged out for 3 days longer than it needed to be. Fantastic Vacation at Makani Sands! Unit 202 was clean, beautifully decorated, comfortable, had a fantastic view of the beach and ocean. Absolutely Awesome!